Though Alpine Heart is not a Multi Pass partner, our summer guests can still purchase a pass for only 9 euros per day per person. The pass gives you unlimited access to a host of free activities, not only in Chatel but in the whole of the Portes du Soleil region. This includes the use of 24 ski lifts (for pedestrians) so you can explore the 850km of footpaths, tennis courts, little train, skating rink, mini-golf, shuttle bus, entry to the new Forme d'O aquatic centre, etc. You can also visit the following Chatel attractions at a discounted rate: Fantasticable, bob sleigh, pitch and putt, 2 cinemas and the customs museum. Chatel and the Portes du Soleil have become known as centres of excellence for mountain biking. With high quality tracks and play parks, this is the place to be. With a secure garage to lock your bikes away overnight, Chatel is an excellent place to mountain bike. Chalet is a paradise for active family holidays. With a day nursery, leisure centre, high teas on the farm, a roller-skating platform, MTB circuits, street shows, sack races, summer bob sleigh, village feasts and fete days the summer programme is designed to give you the best ever mountain holiday. Take your pick from high altitude climbs, low meadow walks, themed trails or guided outings. 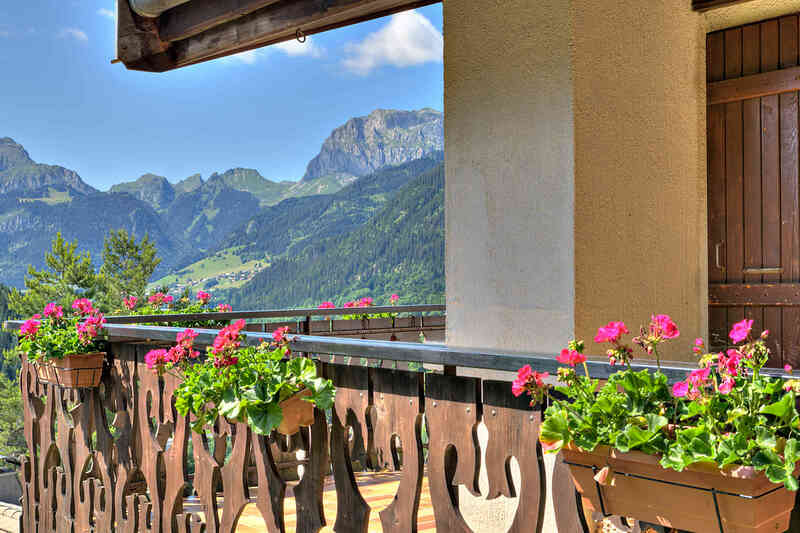 Chatel is perfectly located for some great mountain walks with incredible views of Lake Geneva and other beautiful mini mountain lakes and waterfalls. For those of you who just can't sit still on holiday there are plenty of activities designed to keep you fully occupied: white water rafting, rock climbing, via ferrata, high ropes courses, paragliding, themed/adventure/fitness trails, fishing, canyoning, kayaking and the ever-popular Fantasticable, to name but a few.